surveillance, originally uploaded by caffeina. 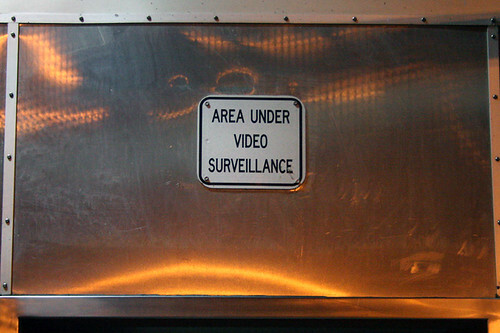 Eventually they'll only bother to put up signs warning you in the unlikely event that you're not under video surveillance. Yeah, I was watching on the video feed when they put that up. Are you mocking me, Or are you serious... Mystery! !